Get your fright on! 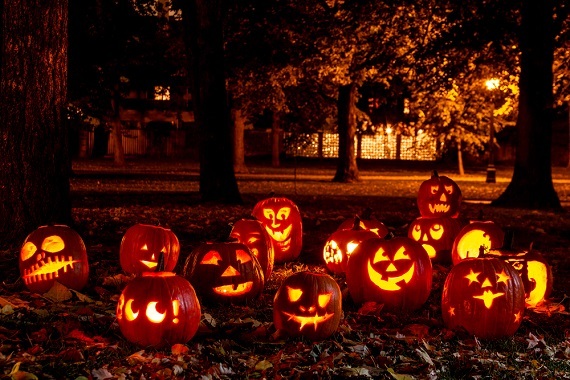 Between now and early November, there’s no shortage of spooky, haunted happenings to scare and delight you. Whatever your age – young, old or in-between, there is something for you in our guide. We’ve selected a few highlights and included some general guides with even more ideas. But if spooky things are not your cup of tea, be sure to see our other ideas for how to enjoy the fall season in New England. The Haunted Graveyard – At dusk, take a terrifying 1 mile journey through darkly glittering catacombs to an eerie graveyard, to a vampire’s haunt, to a witch’s lair, then onto a misty lake and an ancient temple. Haunted Happenings – What better place to experience Halloween than the city of the witch trials? There are a variety of events to choose from – this site says: “A festive celebration of Halloween and fall in New England. We invite you to experience a unique one of a kind Halloween experience. From the Grand Parade and Family Film Nights on Salem Common, to ghost tours, haunted houses and so much more.” Get an event calendar, a free guide & more. Haunted Boston Ghost Tours – The best way to see Historic Boston is by foot. Our 90-minute long walking tour takes you through the historic and haunted streets in search of the countless ghosts rumored to haunt the city. Ghosts & Gravestones Frightseeing Tour – Guided by a ghoulish band of the undead and a roguish gravedigger, the Trolley of Terror will go back in time as you relive grisly murders, heinous torcherings and cold-blooded executions like the ones that took place on the Boston Commons. Spooky World – Spooky World presents Nightmare New England and the Haunted Hayride. It is New England’s largest haunted attraction. Halloween in Boston 2018 – Ghosts, Graveyards, Gore!